Dreams Trans EOOD is a company specialized in trucking. 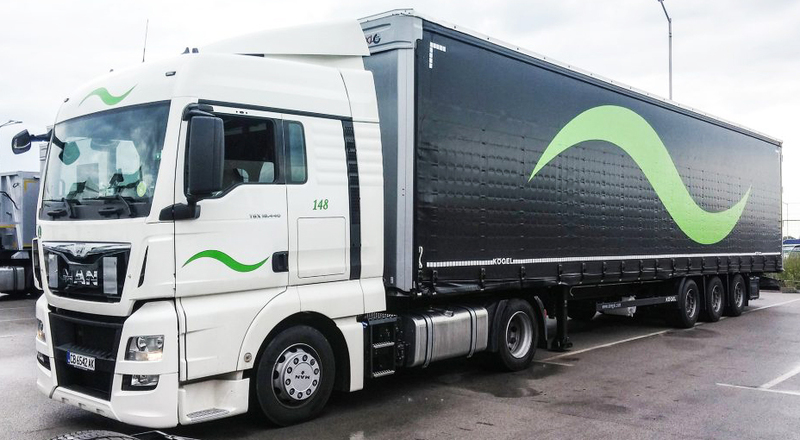 Currently we have 241 hauler trucks equipped with 13.60 m. standard or mega trailers – tripartite taut liner. Our trucks are operated by one or two drivers depending on the client and the shipment deadline. We can transport or organize transport of your goods within one EU member state or between two or more EU member states. All trucks are equipped with one of the best GPS – Logistic System – Fleetboard. This system allows our clients to track their goods at any time. We are specialized in the transport of all types of goods – from standard freights (raw materials and goods) to special mega freights (3m height) and air freights. We can provide excellent service at a competitive price. Solutions for all types of goods (conventional, products requiring temperature control, hazardous freights). Intensive traffic corridors for transport of goods from and to the Balkans and all EU countries. Collection of goods and shipments in EU countries via a reliable network of partners. Combination of long and short distance destinations for effective planning and costs. Compliance with the requirements for quality and standards of clients and/or their specific requirements. Additional services, such as exchange of pallets. © Dreamstrans 2018 - All rights reserved.